Dr. Aguirre obtained his B.S. in Biology and M.S. in Biochemistry and Molecular Biology at the University of the Basque Country, Spain. In 2010 he obtained his Ph.D. in Material Science and Tissue Engineering at the Institute for Bioengineering of Catalonia (IBEC). For his postdoctoral training Dr. Aguirre joined a world-leading lab on stem cell biology and regeneration at The Salk Institute under the supervision of J.C. Izpisua-Belmonte, where he introduced the concept of regenerative reprogramming and applied it to cardiac regeneration (Cell Stem Cell, 2014), and made significant contributions to non-coding RNA biology in human development (Cell Stem Cell, 2014; Circulation, 2015). Dr. Aguirre became Assistant Professor of Medicine at the University of California, San Diego in 2017. In 2018 he joined IQ and the Department of Biomedical Engineering at Michigan State University. During his career, Dr. Aguirre has received numerous awards and fellowships, including the Gangoiti Barrera Fellowship, the CIBER-BBN award, the Generalitat of Catalunya predoctoral fellowship, the Hispanic Center of Excellence award at the University of California and more recently an NHLBI K01 award. Kristen Ball is a research assistant and laboratory manager for Dr. Aitor Aguirre’s biomedical engineering lab located at MSU's Institute of Quantitative Health Sciences and Engineering. She received her bachelors of science degree from the University of Michigan in April 2018 where she studied biology and philosophy. She currently studies bioactive lipids and their impact on cardiac development through the use of stem cells and murine models. 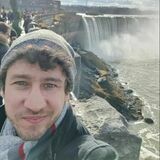 ​​​Aaron Wasserman is a Ph.D. student in the Cellular and Molecular Biology graduate program at MSU. Before coming to East Lansing, he obtained an M.S. in Physiology and a B.S. in Biology from the University of Michigan. 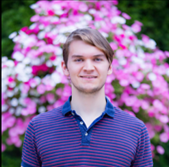 Aaron’s research in the Aguirre lab is focused on neuroendocrine reprogramming of the epicardium during the process of heart regeneration. He aims to identify neurohormones and signaling pathways that activate epicardial cells in the injured heart and convert them to a stem cell state..
Yonatan (Yoni) Israeli has a Bachelor of Science degree in Biotechnology from RMIT University in Australia, and a Master of Science in Biomedical Engineering from the University of Bristol in the UK. His research interests include regenerative medicine and the use of tissue engineering to create human disease models. Currently, Yoni is pursuing his Ph.D. in Biomedical Engineering at the Aguirre lab, focusing on the fabrication of self-assembling cardiac organoids derived from human iPSCs to study cardiac development and to create disease models of the heart. Renee Kinne is a junior studying Genomics and Molecular Genetics through Lyman Briggs. She is exploring the multitude of research possibilities in preparation for graduate school by utilizing the variety of techniques found in the Aguirre lab from cell culturing to mouse work. She is currently assisting Kristen in her research on bioactive lipids and their effect on cardiac development. Julia Jarvis is a senior studying human biology through Lyman Briggs College. She is in the process of considering MD and PhD programs post-graduation. 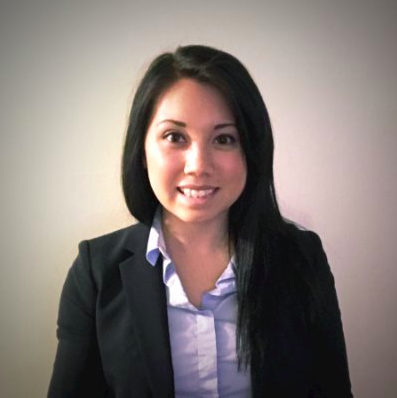 Julia’s interests include human anatomy and physiology, regenerative medicine, and bioethics. She is currently assisting other members of the Aguirre lab in their research on the impact of bioactive lipids on cardiac regeneration. I am a senior studying Biochemistry and Genetics and am very interested in advancing medicine and our understanding of many diseases. In the future I intend on getting an MD-PhD. Currently in the Aguirre Lab I am developing knockout stem cell lines using CRISPR/Cas9 to investigate the effect of oxylipins on human cardiovascular development. Future plans include generating human heart organoids from these cell lines, and observing their development as well as response to oxylipins.